We aren’t your typical logistics company. Based in central North Carolina, Glen Raven Logistics' unique position allows us to offer full truckload (FTL) as well as less than truckload (LTL) service through our vast network of third party providers. We take pride in our ability to provide timely and reliable service, with our promise of satisfaction delivered with each shipment we move. Our dedicated staff works closely with all of our customers to maintain the highest levels of communication and support. Glen Raven Logistics offers unmatched service at competitive rates to lanes all over the continental United States, Mexico and Canada. Glen Raven Logistics is a part of Glen Raven, Inc. Glen Raven was founded in 1880 in North Carolina, starting as a small cotton mill, and has grown to be an established manufacturer and supplier of fabric-based solutions to textile and non-textile related industries throughout the world. Integrity and quality are at our core. In the mid-1960s, Glen Raven Logistics was born. It was primarily founded as an internal support function to coordinate shipments between our plants and our customers. 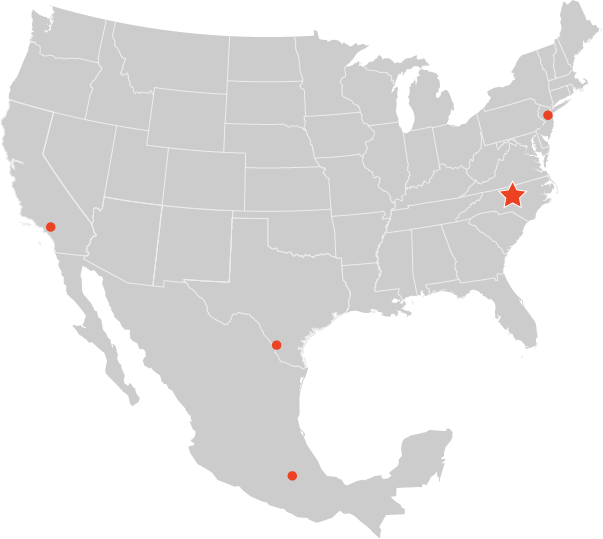 After expanding into Mexico in 1995, other opportunities opened up to the Northeast, Midwest and West Coast. Glen Raven Logistics currently operates under Glen Raven Technical Fabrics. In 2008, we created the Raven Rater, our logistics solution technology. Free to our customers, the Raven Rater continues to shape our business. Today, Glen Raven Logistics' high-tech facility is based in North Carolina beside the original Glen Raven cotton mill office. This serves as a constant symbol of our strong history and innovative focus on the future.